All meetings are free and open to all UA students! Dr. George Daniels, an assistant dean in the College of Communication and Information Sciences, will present on how to use digital media to disseminate information on community engagement projects. 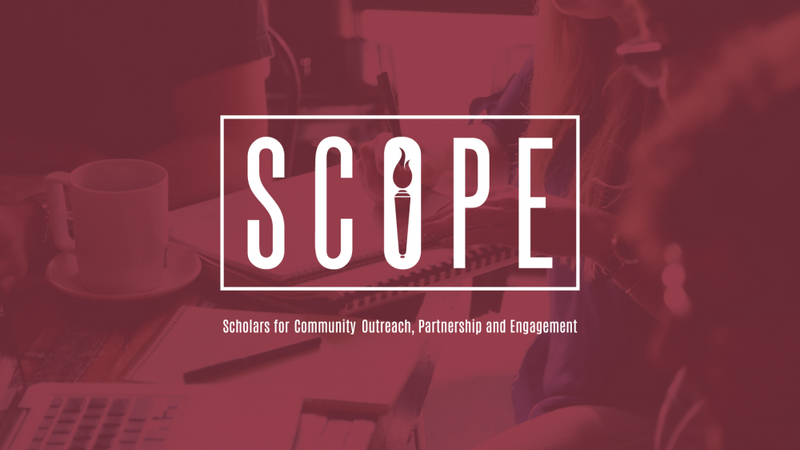 Graduate students will provide information on how to create a poster presentation for submission at both the SCOPE Showcase and future poster sessions. Daniela Susnara, a doctoral student in Kinesiology, will talk about the Freedom Rows program, which provides disabled veterans a chance to participate in a non-traditional recreation program. Daniela will provide insight on how a student can build their own community-engaged project. Corey Key, Graduate Research Assistant at the Institute for Rural Health Research and Programs Coordinator for Cooperative Agriculture for Minorities (CAM), will discuss community engagement works and research in vulnerable populations throughout the state of Alabama, highlighting CAM’s Soldiers of the Soil Alabama program. Student Community Engagement Center SCOPE Students and students from the new Student CommunityEngagement Center will meet and tour the new space. Both groups will havethe opportunity to learn about the community engagement works one another do. Wrap Up & Celebration SCOPE members will review the year, discuss logistics for the next school year, and elect a new Executive Committee.